The Filipino hero and Senator explains during the interview that although he succeeds in boxing, he also ventures in other sports like basketball. He continues by saying that it is the same in his political career. He does not stop to improve himself that’s why he continues his education despite the many things he has to do. It does not mean that he is eyeing for the presidency. In fact, he does not have any plans to run for a higher office right now. 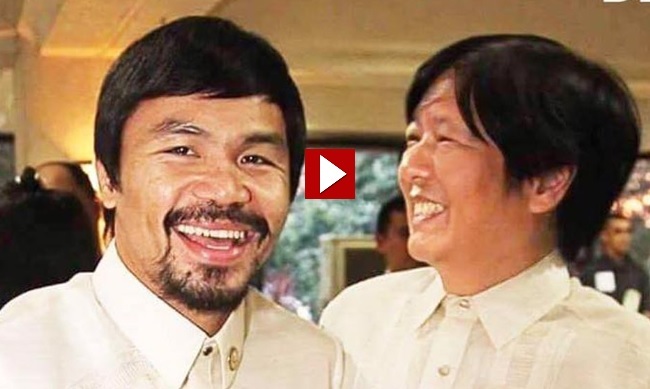 In one of Bongbong Marcos’ vlogs, he floats the idea that the Marcos-Pacquiao tandem in 2022 is possible. He answers this query after a question was posted online. Marcos added that they are both good friends so, if the right time for him to run for the country’s top leader comes, Pacquiao can be his Vice President. They can always talk about it. Manny Pacquiao is actually a doctor (Ph.D.) when it comes to education. Southwestern University in Cebu, Philippines confers an honorary doctorate degree in humanities to the Pacman. It acknowledges his contribution to giving the country great honors through sports. Some things can’t just be possible through college but as the great boxer said; from the University of Experience. Amidst controversy and criticism from some sectors, Southwestern University President, Eldigario Gonzales, said that they are thankful that the Commission on Higher Education (CHED) allows them to confer the honorary degree to Manny Pacquiao. Earlier, the commission (CHED) disagrees with the conferment of an honorary degree in human kinetics. Gonzales said that an honorary degree in human kinetics should be more appropriate. Since kinetics is the science of sports, physical activities and recreation. Pacquiao expresses his gratitude to SWU for taking notice of his achievement. Harvard lawyer and Top Rank president Bob Arum was a special guest during the event. 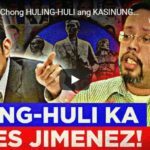 Like his compatriot, Bongbong Marcos, Pacquiao never grows bitter when it comes to criticisms thrown against him. He simply laughs them off. The pride of the Philippines is so secure that nothing can bring him down even such senseless questioning of a TV personality. Pacquiao’s University of Experience really polishes him to not just become a successful human being but a remarkable leader free from hate but full of love for his countrymen. 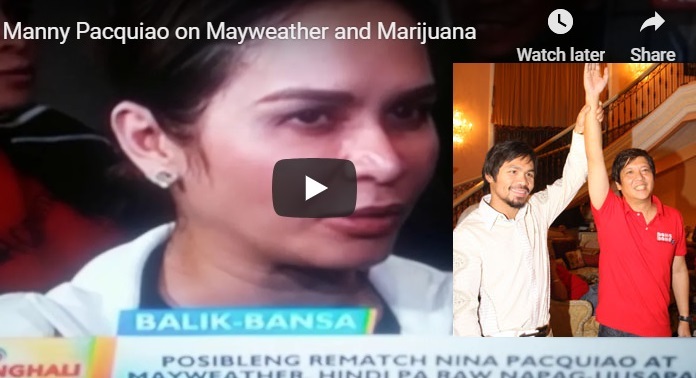 [VIDEO]: The Filipino boxing champ insinuates that his and Floyd Mayweather’s paths always crosses and that he has no problem with medical marijuana. Pacquiao and Bongbong Marcos who is the VP Protestant against the presumptive VP, Leni Robredo have something else in common besides bearing the banner of the Nacionalista Party when the Senator joins the party in 2019 to 2010. They both trace their roots to Leyte . Their respective moms, Aling Dionisia Pacquiao, and former First Lady Imelda Romualdez-Marcos are proud Warays. Rumors have it that Pacquiao is also a top contender for Philippine presidential election, 2022 just like Marcos. President Rodrigo Duterte separately said that he intends to make either of them as his successor. The two politicians are also pro-Arroyo. So, it is unlikely that they would ever run against each other. 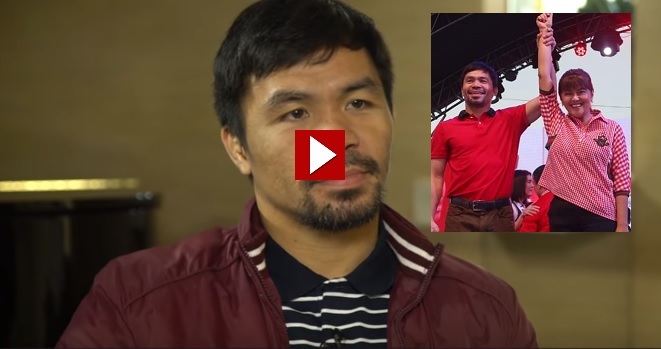 It might be a coincidence that Manny Pacquiao always crosses paths with retired American boxer Floyd Mayweather. The first one was during the clash between the Golden State Warriors and Los Angeles Lakers on January 22. Pacquiao and Mayweather met again the US this 2019. Last January 9, the two boxers met in the NBA’s Filipino Heritage Night. In Las Vegas, the American paid the Filipino boxer a visit ahead of his fight against 4-division world champion Adrien Broner. Mayweather also managed to watch his former opponent retain his World Boxing Association regular welterweight belt. President Du30 will support any bill that will seek the legalization of medical marijuana. Presidential Spokesperson Salvador Panelo notes that Du30 has already made his stand on several instances favoring the legalization of medical marijuana. This goes the same with Pacquiao too who has nothing against it for as long as it is for medical .use. Pacquiao just unloads a verbal left straight on Mayweather’s jaw. With Mayweather still receiving harsh criticisms for feasting on a hapless and inexperienced Tenshin Nasukawa. This is during their exhibition bout last December. Meanwhile, Pacquiao impressively dispatched Broner, a fighter 11 years younger and a former four-division boxing champion. Pacquiao basically stated that he can still take on top-level opposition and that Mayweather is better off staying retired if he will just pick on newspaper boys. Senator Pacquaio might like to prove that his previous defeat against Mayweather was unfair to him but he also can’t deny that loads of cash are at stake should a rematch realizes between them. The money from endorsements and other sponsorships may not be able to match that. On the other hand, Pacquiao remains honorable even without such an exhibition. He is one boxing icon that many professionals in his field support. As what his wife, Jinkee Pacquiao discloses, the possibility for both to be facing each other again inside the ring is only 5 between 1 to 10. 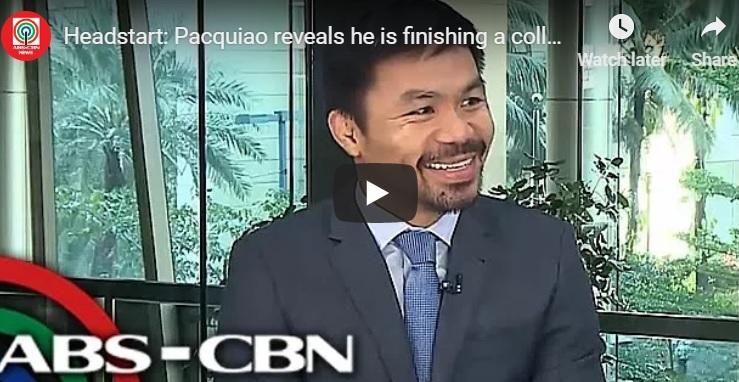 Marcos said that he is happy to shout the name of Manny Pacquiao because of his recent win. WBA welterweight champion, Pacquiao delivers a dominant performance to earn a unanimous decision victory over Adrien Broner in Las Vegas recently. The 40-year-old Filipino multiple world champion was quicker and more accurate. He controlled each round and cruised to the triumph over Broner, 29, who fought gamely and stayed upright despite being hit with several heavy combinations. Retired great Floyd Mayweather attended the fight. It fuels speculation of a rematch against Pacquiao. Undefeated Mayweather beat Pacquiao in 2015. Floyd Mayweather ignores Pacquiao’s call for a rematch after watching the Filipino coast to victory over Adrien Broner. Mayweather is linked with another nine-figure payday against Pacquiao. The latter rebounds after his defeat to Jeff Horn, dispatching Lucas Matthysse and Broner with relative ease. Pacquiao immediately delivers a message to Mayweather after the judges the unanimous points victory. “Tell him to come back to the ring and then we can fight,” he said. Just like Pacquiao, BBM, as he is fondly called, makes sure that he hits the gym at least 4 to 5 times a week. It stays in his memory what his late father said about exercise. It is vital for not just the body but also the mind to function properly especially when working for the welfare of the Filipino people. That is the secret of Marcos’ youthful and healthy look. The VP Protestant also mentions that having close ties with family members can alleviate or prevent high blood pressure. He admits that his son, Sandro, and nephew Borgy had the time of their life when he was under their makeover scheme. He swears that when his eldest son is back from England, he would surely organize a healthy makeover for him too. 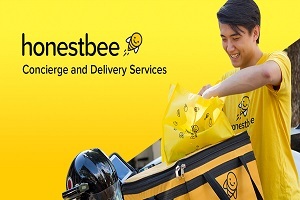 Election Campaigns for 2019 and 2022? There is no sign at all that Marcos worries about the electoral protest against the presumptive VP, Leni Robredo. 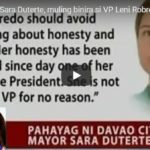 There may be some truth about what the President said that Robredo will finish her term as Vice President. That being said, the former senator is very visible nowadays. 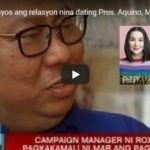 He swears to do strenuous election campaigns perhaps for his sister, Imee Marcos who is running for Senator in 2019. This would make him very visible towards the possible 2022 presidential poll. Why not? He’s definitely someone that many people look up to as the possible new leader of the country after Du30.